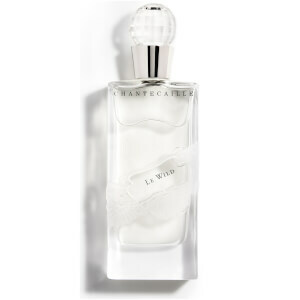 Enliven your spirit with the Le Wild Fragrance from Chantecaille. Capturing the excitement and allure of Brazilian gardenia in the wild, the thrilling perfume pushes aside the conventions of a white flower scent and captures and embodies something much more tropical and intense. Uniquely modern, the fragrance delivers a floral experience with a heady floral atmosphere and green crispness. Top Notes: Le Wild opens with a fresh bouquet of white florals, capturing and enhancing the ethereal femininity of the stunning blooms. Releasing crisp gardenia leaves, the top notes are ultra-fresh, to prepare for the intoxicating heart notes. Mid Notes: Adding pure and feminine floralcy, the fragrance boasts blossoming Brazilian gardenia, which combines with casablanca lily, tuberose and jasmine for an ethereal, hypnotic scent. Base Notes: Lastly, sensual ambergris and creamy musks wrap the fragrance in glowing warmth, highlighting the beauty of the delicate white blooms.